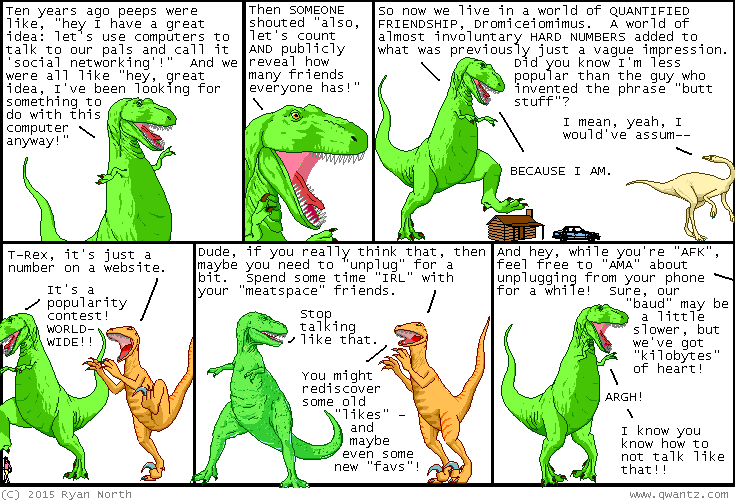 Dinosaur Comics - June 15th, 2015 - awesome fun times! –I should buy some friggin' groceries! June 15th, 2015: This comic would've been much better timed for Father's Day, or better yet... Grandfather's Day. Is that a thing? The vast global network of information we've built so that I might satisfy my every curiosity at a moment's notice says: yes!